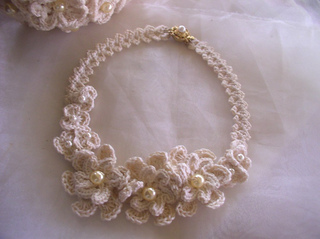 Here’s the necklace to go with the Cotton Lover’s Bridal Purse. 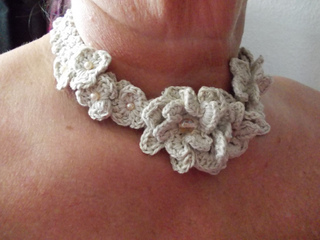 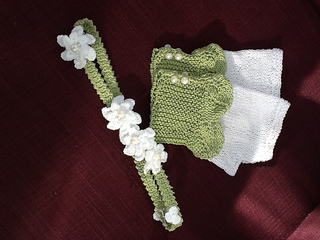 Motifs are crocheted separately and then sewn onto the necklace strap. 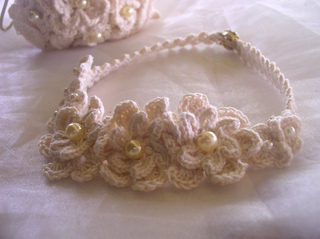 So some pretty good sewing skills are necessary to successfully complete this project! 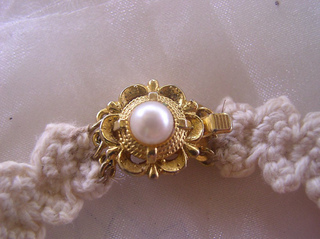 How you arrange and sew the motifs onto the strap is crucial to how the finished necklace will look and sit around the neck.